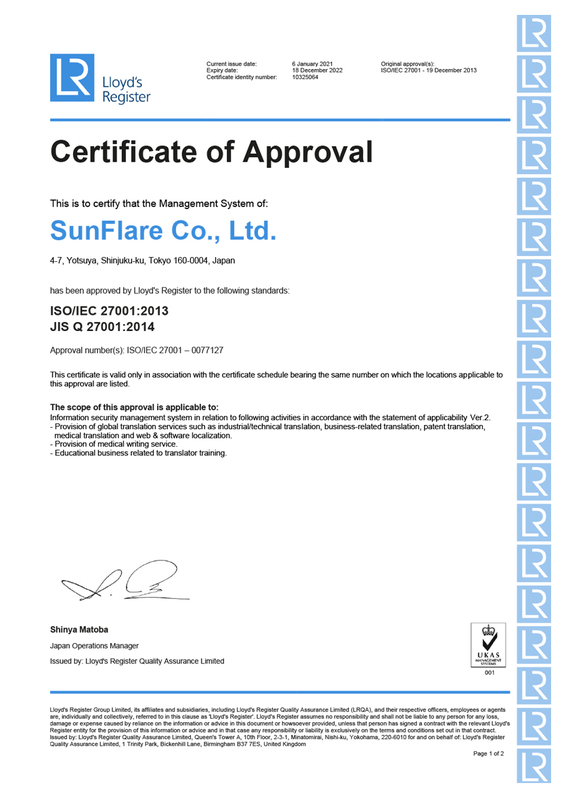 Use of This Website - SunFlare Co., Ltd. 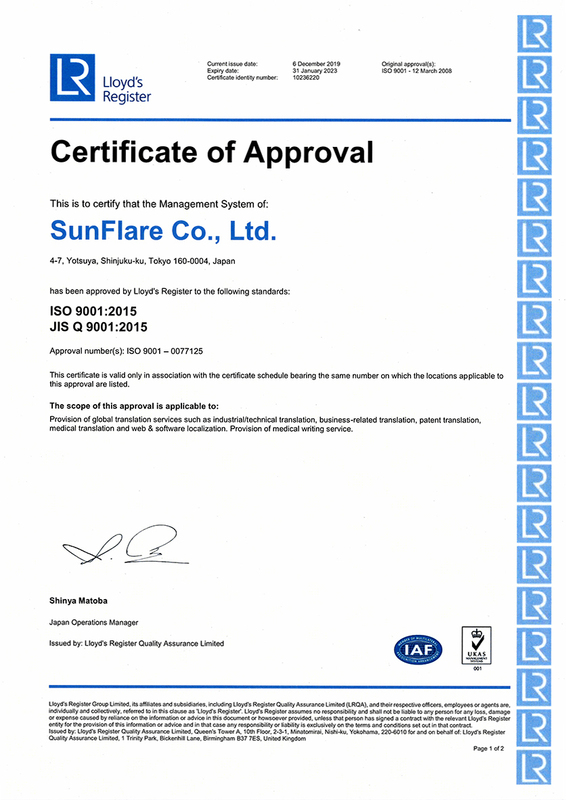 This website is operated by SunFlare Co., Ltd. (hereinafter "SunFlare"). The following explains matters requiring your prior understanding and useful information for the use of this website. Visitors who have accessed and used this website are deemed to have agreed with this website policy. The website policy may be amended without notice. Any amendment of the website policy will be posted on this website. Visitors to this website are deemed to have agreed with the amended policy at the time they access and use this website for the first time after the relevant amendment is posted on this website. In cases where a part of this policy is found improper or invalid or cannot be enforced for any reason, the relevant part is deemed to be severable and to not affect the effectiveness and legal biding force of the remaining part of this policy. All copyrights and intellectual properties rights for documents, pictures, illustrations, and videos (hereinafter the "Content") posted on this website belong to SunFlare, unless otherwise specified. It is prohibited to reproduce or copy all or part of the information posted on this website for any purpose other than private use, unless reproduction or copy is permitted by law. If the copyright holder speciﬁes individual conditions of use for a Content item, you can use the Content in accordance with the relevant conditions of use when reproducing it for a purpose other than the above-stated purpose. The trademark, service mark, logo, etc. used in this website belong to SunFlare and cannot be used without permission. 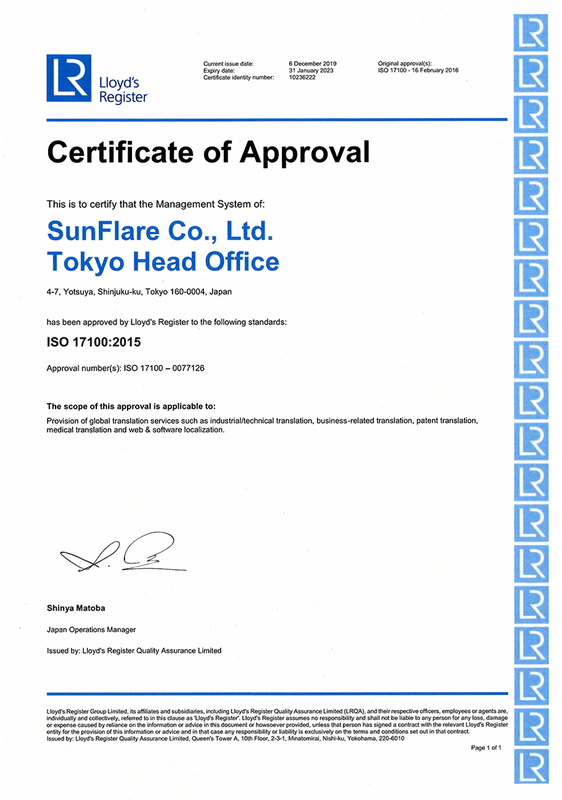 SunFlare pays careful attention to ensure the accuracy and integrity of information provided in this website as well as the safety thereof from a security viewpoint. However, SunFlare does not guarantee the accuracy, reliability and quality of the information or guarantee that this website is always protected from computer viruses and malicious software. SunFlare is not responsible for any loss or damage caused to visitors by the use of this website and the information provided in this website. SunFlare is not responsible for the contents and safety of other websites linked with this website. SunFlare may amend or delete the information posted on this website or suspend or terminate the operation of this website without notice. SunFlare is not responsible under any circumstances for any trouble caused by the amendment and deletion of information or the suspension and termination of the operation of this website. SunFlare does not guarantee any matter related to the information posted on this website.